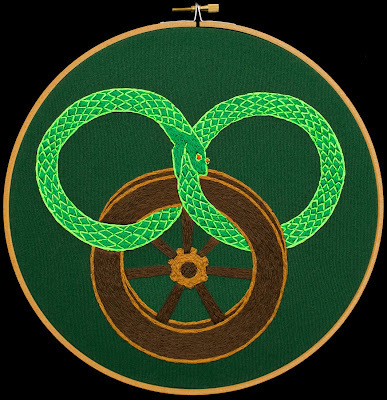 This is the Wheel of Time, from the series by Robert Jordan of the same name. And it’s been embroidered. For more embroidered goodness, add Spool Spectrum to your Google Reader. In other news, maybe I’ll start posting more than once a quarter.